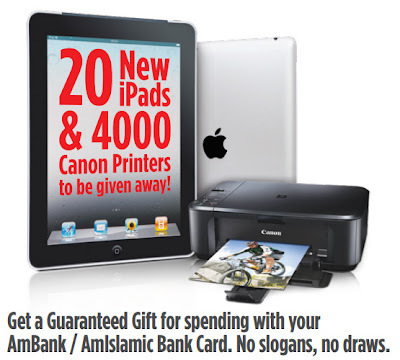 Just spend RM4,000 with your Ambank card and you will be guaranteed to win a Canon printer. If you are one of the top 10 spenders, a New iPad will be yours! Visit Ambank contest form for more details.